Standout winners include Marival Residences, Hard Rock Hotel and Grand Velas for receiving the Excellence in Service and All Inclusive Premier Plus awards. Riviera Nayarit hotels have once again been recognized by RCI®, world leader in timeshares within all-inclusive establishments. In 2016, eight Destination hotels were accredited with the RCI Gold Crown Resort® Award. The hotels that received or will shortly receive these awards are all in Nuevo Vallarta and include Marival Resort, Marival Residences, Grand Velas, Hard Rock Hotel, Mayan Palace, The Grand Bliss, Mayan Sea Garden and The Grand Mayan. 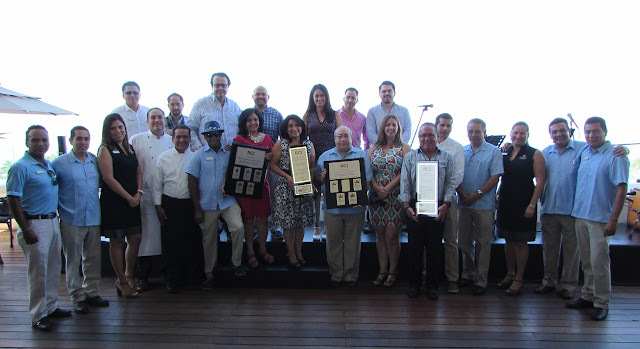 Marival Residences, Hard Rock Hotel and Grand Velas were standout winners, having received the Excellence in Service and All Inclusive Premier Plus awards, the latter the top recognition by RCI® for all-inclusive hotels. The Mayan Sea Garden also received the Excellence in Service recognition and Villa Varadero earned the Hospitality plaque. Several employees of Hoteles Marival, Grupo Vidanta and Hard Rock Hotel also received the Top Producer award for exceptional performance. “This excellence in service is useful at the point of sale when it comes to convincing people to invest in a timeshare; it also ensures the product is backed by an excellent operations team,” said Angélica Hernández Medina, regional Senior Business Development Manager for RCI®. RCI® owns one of the largest timeshare networks in the world, offering innovation in the marketplace as well as cutting-edge products and services to enhance the timeshare experience.